Socio-environment conflict in Villagorgona: Water supply from rivers and Cultivation of sugarcane. - Photo by Stephanye Zarama-Alvarado. 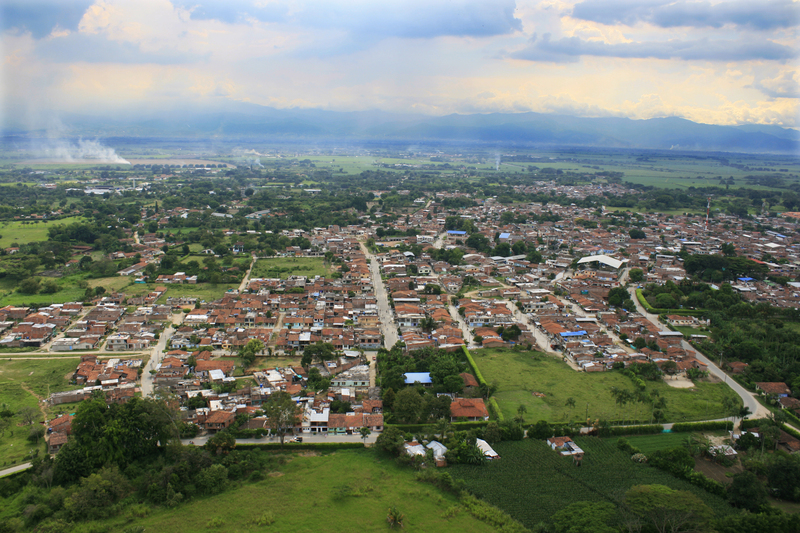 The town of Villagorgona located within the municipality of Candelaria, which is part of the department of Valle del Cauca, has been facing problems of drinking water supply since its foundation in 1953 . As new poor population arrived to this municipality, it was necessary to extend urban territory between beds of rivers and road networks. The inadequate urban planning led to several floods, given the town’s proximity of the Cauca river . Despite the fact that there is a water network composed by tributaries of the Cauca River – Rivers Fraile, Bolo, Póraga and Desbaratado in the municipality of Calendaria-, Villagorgona has a poor coverage of drinking water, considering that this settlement was established without an aqueduct  . The community has supplied its water throughout the years by using four underground wells and water carts provided by the Municipal Firemen of Candelaria or the Public Utility Company of Emcandelaria . In the 1990s, studies revealed that this water was not suitable for human consumption due to the high concentrations of iron, manganese and potassium  . This water was rejected by the community, arguing also the bad taste, staining of the clothes and production of skin diseases . Different initiatives for improving the quality of water have arisen in Villagorgona. A project of interconnection of the aqueduct between the municipalities of Pradera and Candelaria to the town of Villagorgona was announced on 2 April 1992 with the investment of $ 1,346 million Colombian pesos (COP) granted through a credit given by the Territorial Development Fund (Findeter) . 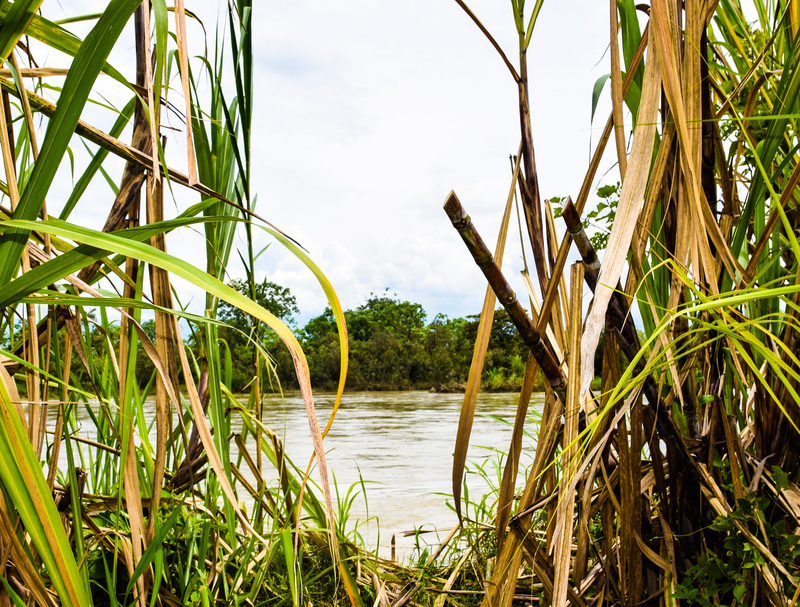 Few months later, the negotiations with the municipality of Pradera were unsuccessful given that it requested in return for this interconnection an initial investments of COP$ 300 million for the reforestation of the Pradera basin composed of the Bolo, Parraga y Vílela rivers . The new mayor of Candelaria denied this request of the Pradera municipality and decided to search for the support of the municipality of Florida, which wanted in return investments for infrastructure works. In 1994, another project was announced by the departmental governorship of Valle del Cauca with the investment of COP $5,228 million for the construction of the aqueduct in Villagorgona and other towns such as San Juaquin, Tiple, Carmelo, Caucaseco and Juanchito . One year after, the investment of COP $ 4.5 billion to this project was also announced by the departmental governor of Valle del Cauca . This new project brought hope to the community of Villagorgona. The company Emcandelaria, in charge of supplying water through carts also reported on November 1995 that its services were wound up and thus each town required to have its own aqueduct management. While the municipality of Candelaria required to provide solutions to the water supply through other companies, the project of the construction of aqueduct was stopped . In 2000, the inhabitants of Villagorgona protested the lack of drinking water and demanded the construction of the aqueduct . Nevertheless, the municipality of Candelaria gave no suitable solution. Five years later, the Local Association of Users requested an inter-administrative agreement signed as a strategy to seek solutions to the problem of water supply by the departmental governorship of Valle del Cauca. The people of Villagorgona also returned to the streets in protest against the poor conditions of the water service. These protestes were peaceful in the beginning but later became violent. The following year three solutions were proposed by the governorship of Valle del Cauca. These were the obtainment of the water from Cali (the departmental capital), the expansion of the water network of the Fraile river in Florida and the extraction of water from the Bolo river in Pradera . These two latter options were problematic, considering that the communities of Florida and Pradera were afraid of lacking their own water supply, because of the expansion of their water networks . The mayor of Candelaria filed a lawsuit through a writ for protection of fundamental water rights against the municipalities of Florida and Pradera . The public utility company called Society of Aqueducts and Sewers of Valle del Cauca (ACUAVALLE) in charge of the construction of the aqueduct also initiated a lawsuit through a class action. After three years and under the pressure of inhabitants from Villagorgona, the second solution was initiated. The community of Florida reacted against this project, arguing that Candelaria has near the Desbaratado, Cauca and Párraga rivers that can be used for its water supply . 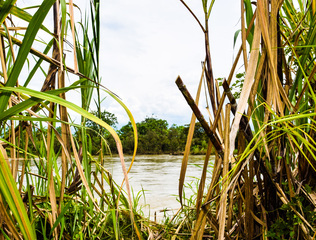 Only as a result of this conflict between municipalities environmental activists became aware of how the rivers Desbaratado, Cauca and Párraga have been strongly contaminated by the agroindustry of sugarcane and the groundwater has been used for extensive agricultural activities . The Mayagüez, Manuelita and Incauca sugarcane mills and private landowners, who rent their land for the production of sugarcane have been identified as the main users of water in the region   . Water treatment to the contaminated rivers is very costly; therefore, the use of the water from the river Fraile in Florida was considered by the municipality of Candelaria the best option to be taken. The impossibility to obtain water from the rivers around the Candelaria municipality, as a result of the activities of the sugarcane agroindustry and the irresponsibility of the highest environmental authority (Regional Autonomous Corporation of Valle del Cauca (CVC)) suggest that there was a political manipulation to deflect attention from the real actors that were using and affecting the essential water bodies which could have provided the drinking water to the population of Villagorgona many years ago. On the 6th of March 2015, the Mayor’s Office of Candelaria announced finally that after fifty years of the absence of water service, the community of Villagorgona could have its aqueduct, bringing the water supply from Florida with the investment of COP $17.000 million . Although Villagorgona was able to solve its deficiency of drinking water through the construction of an aqueduct, the contamination of the rivers Desbaratado, Cauca and Párraga by the sugarcane agroindustry and the lacking of groundwater by the use of agriculture activities are still present. Why? Explain briefly. The municipality of Candelaria took more than 50 years to provide adequate drinking water coverage and it was only in 2010 that the construction of the aqueduct was undertaken. There is no victory of environmental justice since the generators of the conflict such as the cultivation of sugarcane have not assumed any commitment or have assumed costs for the implementation of its solution. 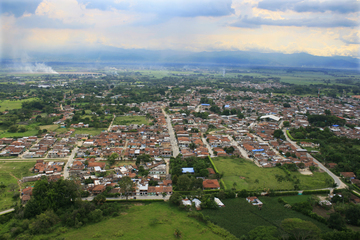 Contraloría Departamental Del Valle Del Cauca. (2014). Informe Final de Auditoría Gubernamental con Enfoque Integral Modalidad Especial de Seguimiento a Plan de Mejoramiento Empresas Públicas Municipales de Candelaria “Emcandelaria E.S.P en liquidación” de la Contraloría Departamental del Valle del Cauca de diciembre de 2014. Burbano, L., & Sánchez, L.,D. (2001). Remoción de hierro y manganeso por oxidación-filtración para agua potable. En: Seminario Internacional: Visión Integral en el Mejoramiento de la Calidad del Agua. Instituto Cinara, Universidad del Valle. Uribe, C., H. (2016). Tesis de Doctorado: Comunidades del Valle Geográfico del Río Cauca en Acción Colectiva Ambiental Frente a la Agroindustria Cañera, Universidad del Valle. EL TIEMPO. (2006, 30 October). Estudian tres alternativas para llevar agua a Candelaria, trabajos tardaría 18 meses. Retrieved 17 July 2017, from. Socio-environment conflict in Villagorgona: Water supply from rivers and Cultivation of sugarcane. Photo by Stephanye Zarama-Alvarado.